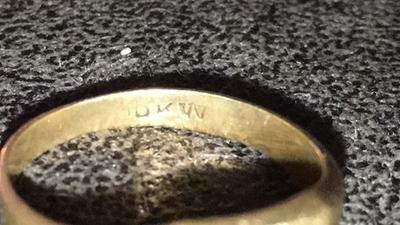 10k gold ring with either "vv" or a W stamped next to it. Hello I have a small gold ring that was passed down to me I have no idea where it came from and no idea what it is. I was told it is a 10k gold ring. Had to get a magnifying glass to see the stamp "10k vv" or possibly a w not 2 v's. Any ideas?